Amacrine cells in the vertebrate retina mediate the processing of visual information in the inner plexiform layer (IPL) from bipolar cells to ganglion cells, and between neighbouring amacrine cells. 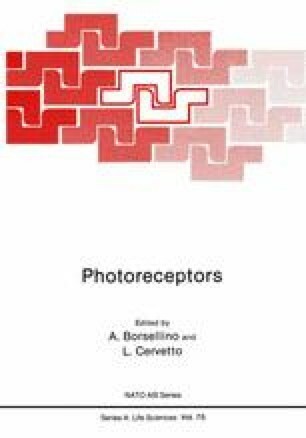 Although the synaptic circuitry of the IPL of teleostean retinae has been extensively investigated (Witkowsky and Dowling, 1969; Kaneko, 1973; Toyoda et al., 1973; Famiglietti et al., 1977), and we know that amacrine cells can be presynaptic and postsynaptic to bipolar and to other amacrine cells, as well as presynaptic to ganglion cells, up to now there has been no comprehensive morphological description of amacrine cells in fish retinae since the work of Cajal (1972) in the Cyprinidae and Percidae retinae. Cajal classified amacrine cells into two main groups according to the organization of their dendritic tree within the IPL: the diffuse and stratified amacrine cells. He observed a pentalamination of the IPL and therefore subdivided the stratified units into cells of the first, second, third, fourth and fifth sublayer, as well as bilayered and multilayered cells. The number of sublayers differs among different species; Scholes (1975) found six layers in the rudd, and as many as seven sublayers were observed in the Nannacara (Wagner, 1976). With the aid of flat mounted Golgi preparations the extension of the dendritic field has been added as a second descriptive criterion used to classify amacrine cells. Famiglietti and Siegfried (1980) classified amacrine cells in the rabbit retina into three groups according to the spread of their dendrites: narrow-, medium-wide, and wide-field units. An exhaustive morphological description of amacrine cells of the cat retina has been recently given by Kolb et al. (1981). They divided amacrine cells into four broad classes narrow-, small-, medium- and wide-field, and recognized 22 types of cells on the basis of both dendritic spread and stratification at the IPL.